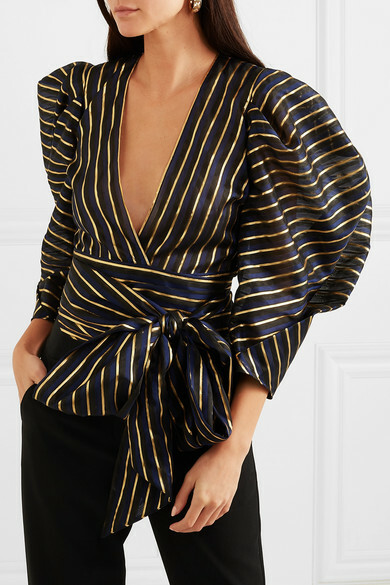 Alexandre Vauthier is always so focused on the construction of his designs - he wants them to look and feel like couture. 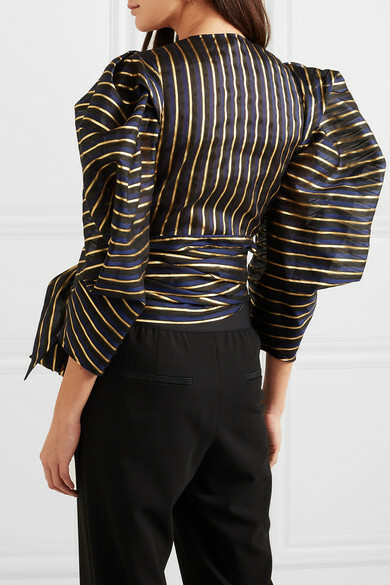 This wrap top is cut from crisp organza woven with shimmering gold stripes. 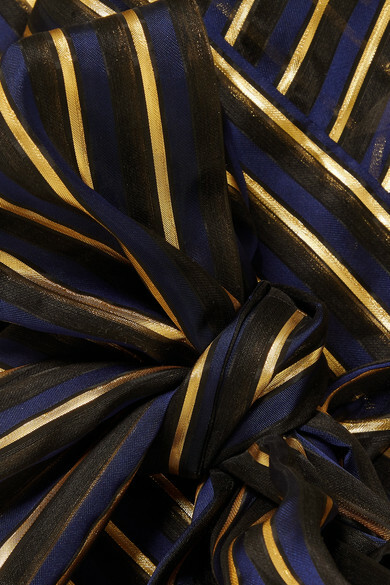 Temper the exaggerated puffed sleeves with skinny pants and fasten the ties into a bow at the front. 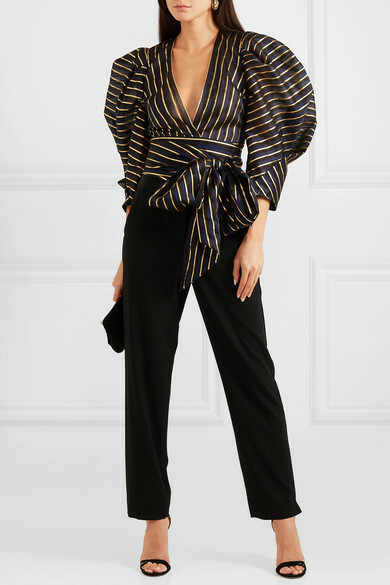 Shown here with: Bienen-Davis Clutch, Gucci Sandals, Chloé Earrings.